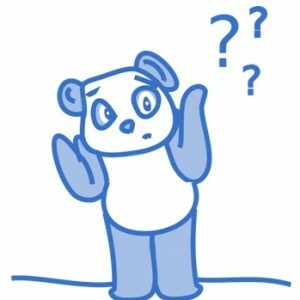 Home / Google / Google Panda – what is it and how could it affect your website? Google Panda was formerly known as one of Google’s most significant spam-fighting algorithms which sought to lower the rank of ‘poor-quality’ websites, and return higher-quality sites near the top of the search results. The algorithm was named after Navneet Panda, the Google engineer who developed the technology and made it possible for Google to create and implement the algorithm. 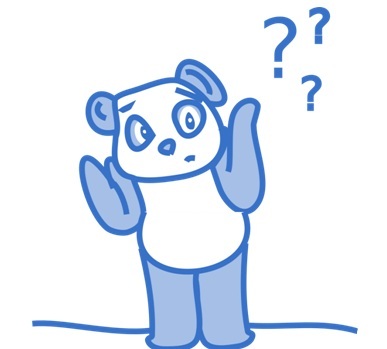 When it was first introduced in February 2011, the Panda algorithm affected almost 12% of all searches. Since then, Panda has been subject to several updates, with Google becoming more and more secretive about each one and the potential consequences they could have for companies’ search rankings and revenue. Now though it seems we’ll be waving goodbye to the Panda updates as we know them, after a recent Panda guide released by Jennifer Slegg and officially vetted by Google’s PR team explained that Panda is now just part of Google’s core ranking algorithm. Although this means Google will likely never confirm another Panda update for us in the future, the fundamentals of the algorithm as a content quality filter will still remain and be continually refreshed. That means website owners should still take the following basic precautions (at least) to reduce the risk of being down-ranked by Google. In order to prevent Google from blacklisting you, you must focus on creating your own, unique content. Think about what you are offering your audience, and whether it is truly unique. Of course there is no harm in looking to others for inspiration, but each article you publish must be crafted with your own topic and opinion. Unless you are checking through every piece of content on your website for Google referrals, you could be removing content that is performing perfectly well. There’s also the possibility that another search engine might think the content you’re removing is great, which could result in you losing that traffic as well. Often people will only look at traffic sent to their website via Google referrals because of its market share, but for some sites that search share can look significantly different. Instead of removing the thin content on your website, just fix it! Selling advertising space on your website is a great way to increase your revenue, but always remember that less is more; 3 sponsors at £2,000 each are better than 15 at £400. Not only will decreasing your paid advertising space earn you some brownie points in the eyes of Google Panda, but it will also de-clutter your website, and improve your audience’s experience as well as the general look and feel of your website. You only need to monitor your site analytics to find out whether you’ve been hit by a Panda update. Affected sites are likely to experience dramatic declines in page views, so if you notice an unusual dip in traffic, that’s a possible sign of Panda. If you’re unfortunately a victim of a Panda update, you could seek the advice of an SEO expert, such as Cheltenham web design agency MA Design, who can help to restore the integrity your website.